Renegade X - Brotherhood Of Nod Update! The Brotherhood of Nod is a mystery. The origins of the organization and its charismatic leader is unknown. Its power is unprecedented. Its truth is unlimited. Nod as an organization appeared first in the mid 1990s, as the primary opposition to the Global Defense Initiative. The Brotherhood has a global presence, with a heavy concentration of its forces and influence covering the third world. They are pioneers in the refinement of Tiberium, and are always one step ahead in developing new technologies intended to take advantage of Tiberium growth worldwide. Kane, the leader of the Brotherhood, is a mysterious figure. His origins, whereabouts, and any details about him whatsoever, remain unknown. Nod sees Kane as a savior proclaiming a new message of unity and freedom from the corrupt tyrants of the world. He propagates Tiberium as a gift to the earth, and its mutating effects on humans to be the next step in our evolution. Nod does not come in peace. It comes ahead of peace - Kane. The official Renegade X Nod wallpaper is now avaliable. 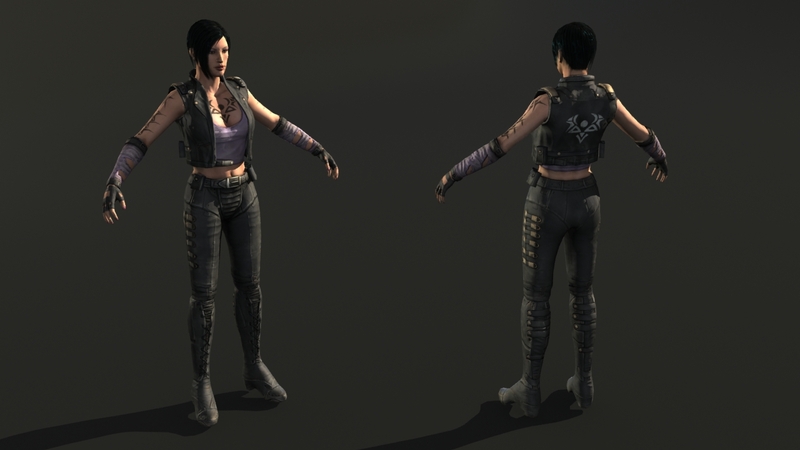 Renegade X has new Nod assets ready for fighting GDI! A Japanese woman covered in tattoos with a quiet, brooding, intense personality, Sakura Obata was raised in the male-dominated environment of the Japanese mob, the Yakuza. Disenchanted, she decided to use her considerable talents as a mercenary, and was hired by GDI to work with the Project: Shadow Strike unit, later known as the Dead 6 alongside then-captain Nick Parker. During one assignment, she was separated from her team and ambushed by Nod troopers. Since she was never heard from again, she was assumed dead. However, it turned out she joined Nod. She was hired by general Gideon Raveshaw as his personal mercenary. As a commando armed with a Ramjet Rifle, Sakura is one of the most valuable units in the game! 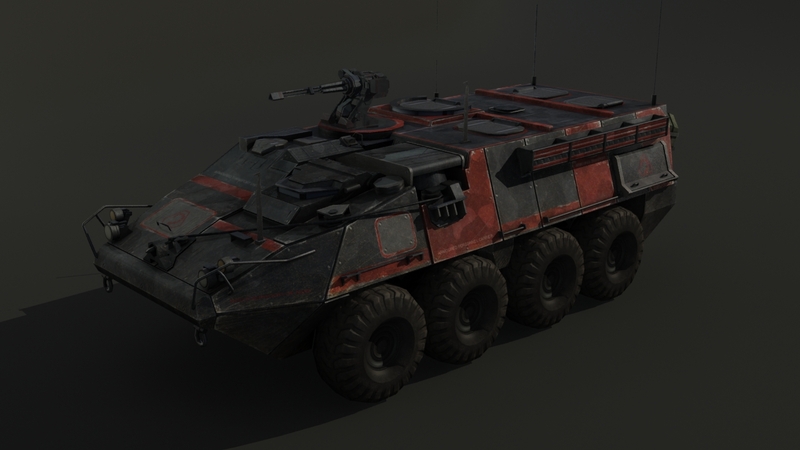 We had decided to take a new design for Nod's APC. Influence has been taken from the Stryker vehicle. Armed with an M134 gatling machine gun, and with enough room for five passengers, the APC plays a very necessary role in the game. The Nod Officer is the point man for Nod basic infantry on the field. He is both inexpensive and useful, as he uses a heavy chaingun to eliminate his enemies from close and far ranges alike. Watch out! A personal favourite for many. 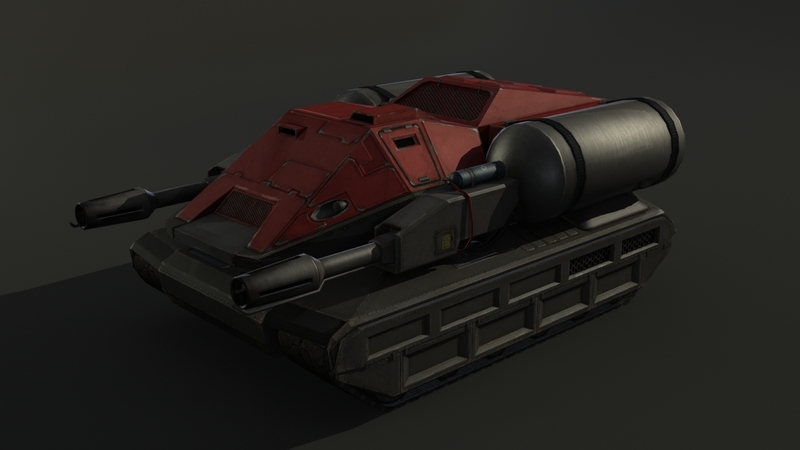 Flame Tanks are a signature Nod vehicle, armed with dual flame cannons to ensure maximum damage, and heavy armour to guarantee that it will make it to its target. Although close ranged, Flame Tanks are a fiery threat to enemy vehicles, infantry, and structures. Don't let these in your base, GDI! 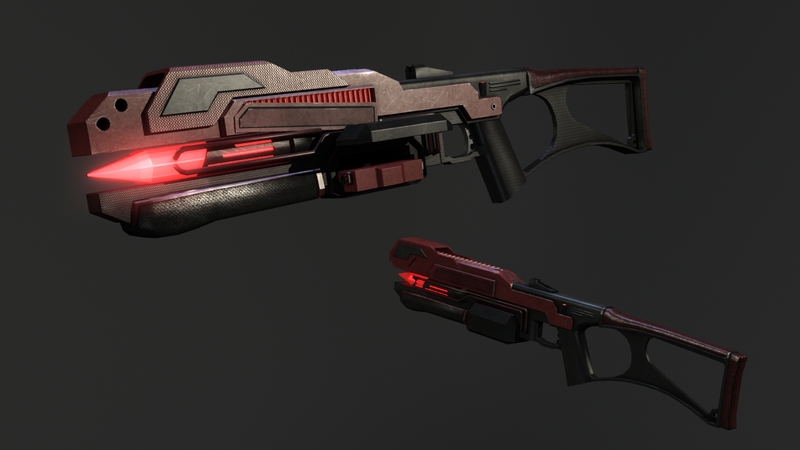 Nod's 'Firefly' Laser Rifle takes Brotherhood laser technology to ground level. Its instant beams not only maintain a good range, but are capable of tearing vehicles apart and incinerating enemy infantry. It is the primary weapon of the Stealth Blank Hand, creating a deadly mixture of stealthy tactics and powerful weaponry. The texture is still an early Work in Progress! 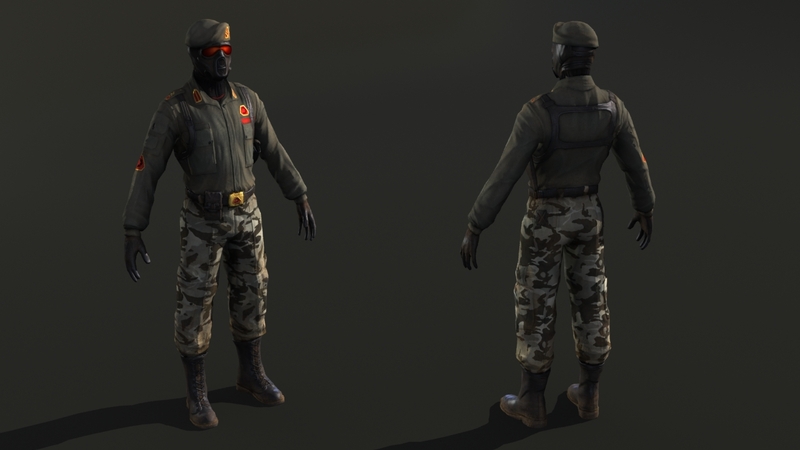 A weapon used by both Nod and GDI shotgun infantry, the 'Vulture' Shotgun is a close ranged weapon used best against infantry and light vehicles. 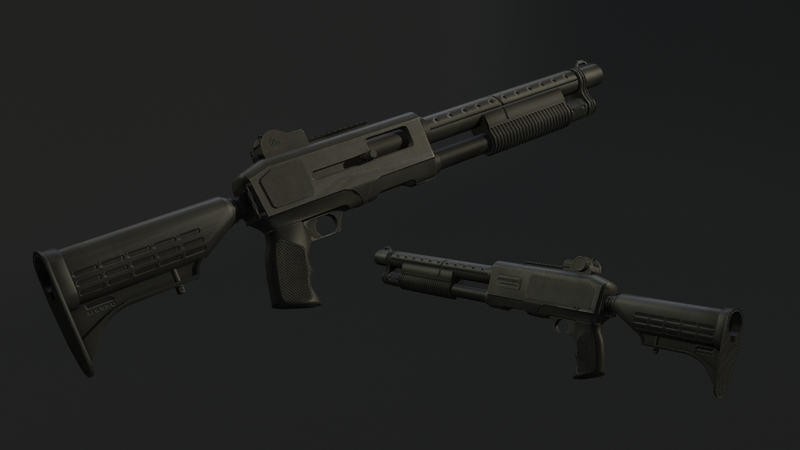 With eight rounds per shot, the shotgun could put a hole in just about any infantry at the proper range. GDI's only asset in this update. 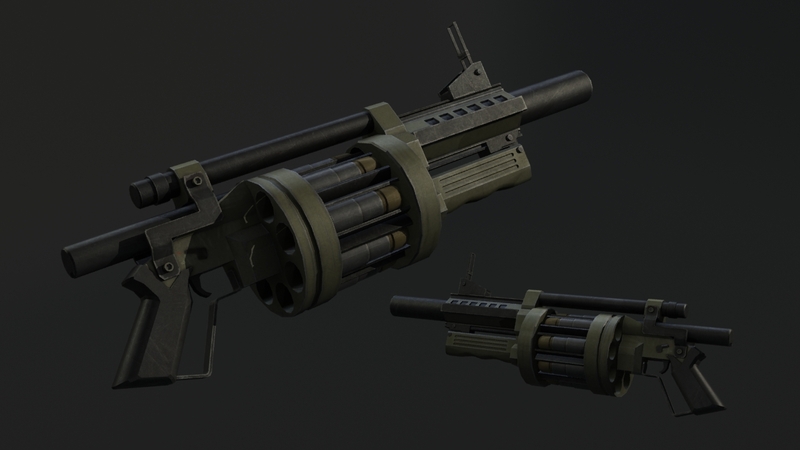 The 'Kestrel' Grenade Launcher fires 40mm grenade rounds in an arc. Although difficult to become accustomed to, if used correctly, the Grenade Launcher could pose a threat to infantry, vehicles, and structures, especially in packs. Primary fire shoots a grenade that explodes on impact, while secondary fire shoots a grenade that will bounce and last a few seconds. Be sure to register on our forums to check out our Live WIP section, and to see our previous updates. I hope your flame thrower versions are easier to aim with on infantry and have a better range. Yes i understand its a totally different game, including physics and the like, just wanted to say this. We've addressed that already/in the process of. Flamers (characters) will be a much more effective unit :). I was a flamer every round if I couldn't afford otherwise. I found the hit detection fine if u could aim ;D. It's the easiest weapon to spam into large groups of enemies and get good amounts of damage especially since it causes damage for a period after. I don't see anything major needing to be changed about it. Very nice update, excellent work! these are definitely professional quality assets! keep up the good work! OMG! This is looking sickkk!! Keep up the work guys! I'm glad you guys went with the concept art version of the Nod officer. Red pants look ridiculous. Stunning, really superb level of detail. I've been watching the progress of this mod for a while and it's looking great. Greater than the UT3 game itself!!! So this mod is standalone or we need to have UT3 to play it?? I'd prefer it as standalone, I don't want to get that UT3 crap hehehe. I think it would be better to make the units and structures more like the original C&C than Renegade, cos there are some units that changed too much from it's father game (C&C) and they looked nicer and more realistic in some cases. For example, Renegade's tiberium harvester with 6 wheels looks horrible and too different from the original. Even more ugly is the Nod's Light Tank, in renegade it's too cartoony and ugly, while the original one was a real tank from the real life. That would help the game to feel a lot more like the original C&C, since that's the goal Westwood Studios wanted to achieve. That's my suggestion. Great mod, can't wait to play it!!!! Keep up the good work!!!! You need UT3 to play this mod. There's no way at this point to make it a standalone, without a huge lawsuit on our hands by both Epic and EA :) UT3 for PC sells for about ten dollars for these days on Steam and pretty much any game store, so I would highly recommend buying it before it is off the shelves. As for changing our art style to better fit Tiberian Dawn, one must remember that Tiberian Dawn and Renegade are in different parts of the C&C universe. Renegade is not "based" on Tiberian Dawn or vice versa, because Renegade takes place 7 years after TD. That's why the units and structures look different, and there are different weapons involved. This is not Tiberian Dawn FPS. This is Renegade X.
EPIC. This mod is the best!